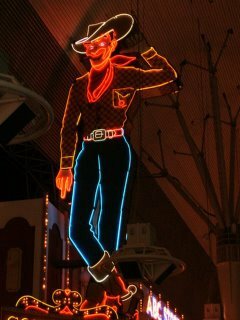 Right on down to Fremont Street. This dude was toward the end, and although he wasn't waving, I'm sure he was glad to see us. Jesse, my dad, and I went to Fremont Thursday (November 10) night. I guess the show has been updated since my dad was last here four years ago. The actual "street" has been replaced with a sidewalk and little trees. Also, the show (I guess) used to be just s series of light bulbs. Now it's a digital light show, complete with dancing girls. 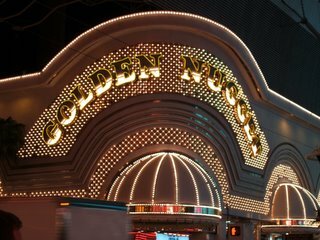 There really isn't much to say about Fremont St. But since I took quite a few pictures, (the better to show you with) 'I'll try to say a little about everything. So we have the dude, and the dancing girls. 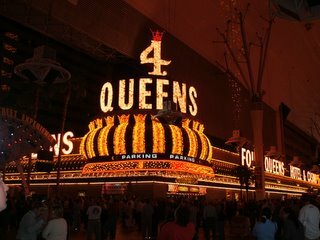 Also on Fremont are Binions, the 4 Queens, and the Golden Nugget. 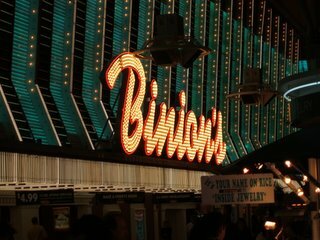 Binions Gambling Hall & Casino has been in downtown Las Vegas since 1951. 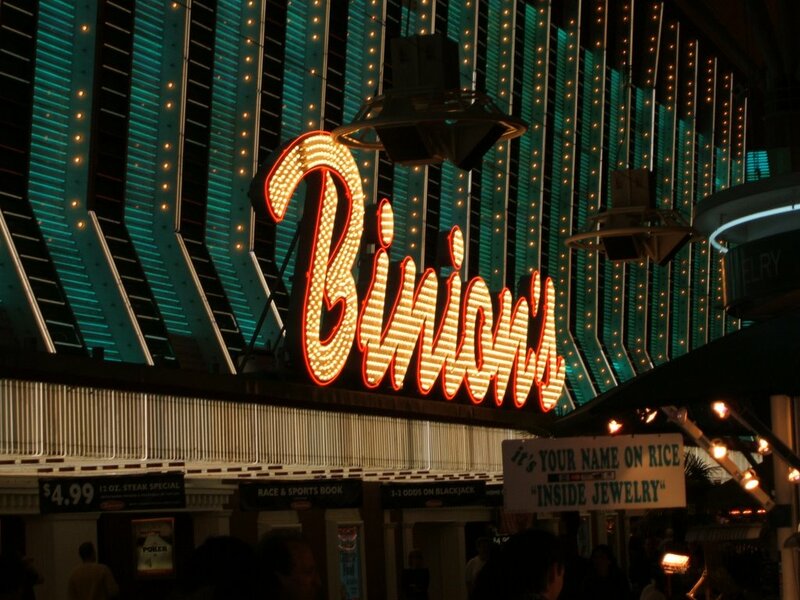 There are two Binions stories every gambler (and news junkie) should know. First, there's the history, and then there's the good story. Nothing like cowboys, murder, drugs, and treasure to add some flavor a business. I don't know of anything scandalous having to do with the 4 Queens Hotel & Casino. Jesse has a story, but it's about a different 4 queens. Earlier this year, the Golden Nugget was sold to Landry's Restaurants, Inc. for $140 million, plus $155 million in debt. Landry's is run by Tilman Fertitta, cousin of the Las Vegas Fertittas - partial owners of Station Casinos. Are you following me?